We’re two weeks in to some simple advice on how to improve your scorecard using the Par 3 holes. They’re an opportunity for everyone. Removing risk helps. find the point on the green that gives you the largest room for error. so you’re looking at a 4 at worst. Go at the flag and the consequences of a miss could be much greater. Even if you fly the flag and land in the bunker, you’re then faced with a bunker shot back towards water. Going at the flag is a 2 or bust! 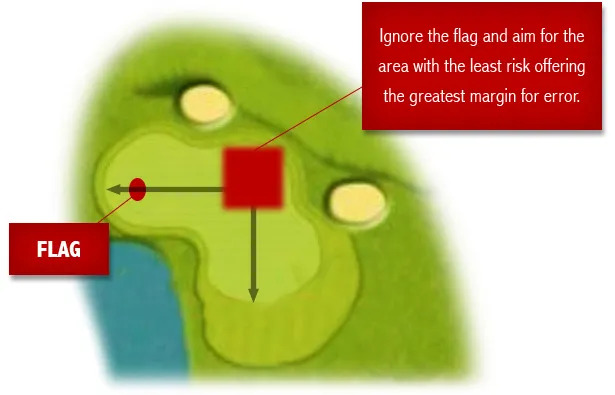 You’ll be faced with a course management challenge on all approach shots, not just Par 3’s. Try playing a round where you take a ‘safety first’ approach to every shot. Check out your score.